If you have not yet registered for this event please CLICK HERE for free registration. If you have already registered for the on-line live webcast, please log in with your email address below. Finding, training and retaining quality human capital is a critical challenge for businesses of all types and sizes in the nation’s food and agriculture sector. 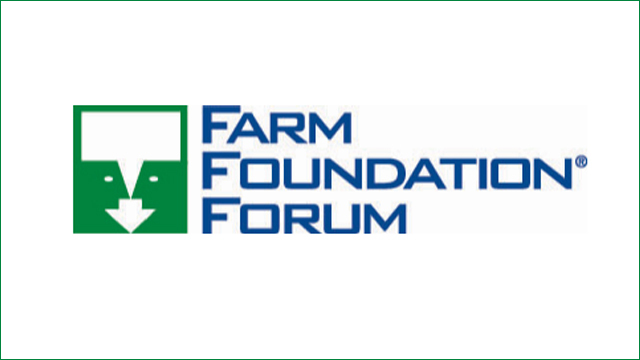 At the Farm Foundation Forum on Tuesday, April 23, 2019, a panel of educators and industry leaders will discuss the innovative approaches they are taking to meet the sector’s human capital needs. Cathann Kress, Ph.D., Vice President for Agricultural Administration and Dean of the College of Food, Agricultural and Environmental Sciences at Ohio State University; Ohio agribusiness leader Lou Kozma, President of Hirzel Farms; and Vermont dairy farmer Robert Foster, President of Foster Brothers Farms, Middlebury, VT. This Forum will precede the annual meeting of the Ohio Agriculture Council.